True to his predilections, Dean Wareham moves the band and song, in covers and instrumentals, and usually away from too much volume. Luna nods to the Velvet Underground, as did its leader, Dean Wareham's, former band, Galaxie 500. Luna's career -- from the 1990s and into the first half of the last decade -- gradually softened into the mainstream, as had its influence. Luna lingered most through the spoken vocals of Wareham, who echoed Lou Reed. Thirteen years ago, the band recorded its last album, Rendezvous. A decade later, rumors hinted at a reunion. That has resulted in both a full-length set of covers and an original, all-instrumental EP. It's a novel combination that may suggest Luna's lack of interest in creating new songs to sing or play. It could also continue Wareham and company's knack for eclectic covers (they're often drawn from his New York hometown scene). 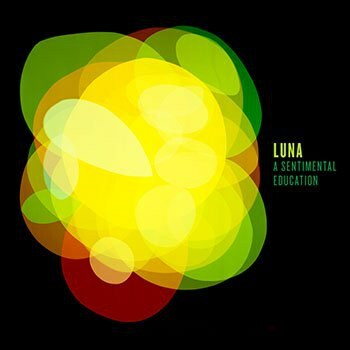 A Sentimental Education features songs by some musicians with whom Luna has worked or shared the stage and studio in the past. It intersperses them among a collection that appeals to the devotee rather than the casual fan of the chosen bands and singers. A modest, simply produced and sufficiently hermetic offering, the album resembles what many indie bands must have created in bedrooms and garages, on tape as demos. It opens with "Fire in Cairo" from the Cure's 1979 debut record, Three Imaginary Boys. Luna's direct, unadorned offering does not alter the song much, for the most part preferring to render the song as a softer jangle. Willie Loco Alexander represents the Empire State lineage Wareham inherits ("Loco" did a stint in the Velvets late on, replacing guitarist Sterling Morrison in 1971). Elsewhere, "Gin" -- from his 1980 LP, Solo Loco -- appears here in the moody, woozy after-hours ambiance Luna favored for most of its discography. The Velvets, for whom Luna opened on that band's '93 reunion tour, enter next as predictable guests, but given the younger band's wise ear for less overplayed selections, the likely little heard "Friends" (from 1973's Squeeze) was written after Lou Reed left. Luna renders it in a gentle manner, highlighted by Lee Wall's percussion. The lounge act Luna has evolved to emulate conveys this, with Britta Phillips' backing vocal adding to a "Sunday Morning" feeling, if not "Friends'" lyrical regret as well. As for "One Together" (which is already out as a single), it receives a big welcome. Luna's pleasant take comes by way of a folksier, hippie-ish Fleetwood Mac on a LP composed in England's countryside, 1970's Kiln House. Dean Wareham wisely does not attempt to imitate the formidable Bob Dylan. Rather, "Most of the Time" (from his acclaimed 1989 full-length, Oh Mercy) sees Luna settling into the mournful guitar laments of Wareham and Sean Eden. Similarly, the same casual, meandering guitar Wareham favors carries "Sweetness" from the 1969 debut by Yes. Halfway through the album -- and halfway into this song -- the guitars suddenly amplify, if only for a moment. 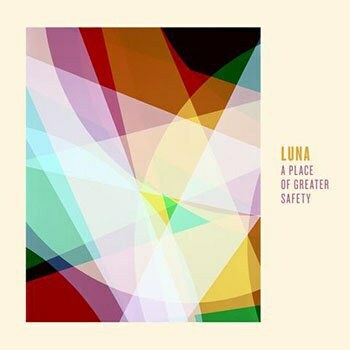 By now, the listener will have been carried along by Luna's languid pace or disappointed that an easygoing sameness dominates so far all of these sleepy covers. David Bowie's "Letter to Hermione" traces itself back to his second LP. First released under an eponymous title in 1969, it was re-released in 1972 when "Space Oddity" catapulted Bowie into fame, and the album was re-issued with it as its new moniker. Luna shares it as a saunter "through the sleepy city" in a basic reflection, with simple rhymes and images. Its modesty fits in the spirit here. Another London success story wrote "(Walking Thru' the) Sleepy City", but Mick Jagger and Keith Richards gave this to the Mighty Avengers to cover in 1964. The Glimmer Twins and their own band, the Rolling Stones, found their own outtake version out on the underwhelming anthology Metamorphosis, itself finally issued in 1975. Befitting its cast-off origins, as with the Bowie cut, it's more a curio than a strong combination of melody and lyrics, which Luna can stimulate by invention. Back to NYC, "Let Me Dream If I Want To" from Mink DeVille traces itself back to a CBGB's tape from 1976. Wareham would have been entering his teens then, and one wonders how he first heard it. Its popularity may be explained by its peppy rhythm; Mink had brief success as a New Wave artist, and it's a change to hear Luna snapping out of its reveries for once. It's a basic arrangement, but it could certainly fit Luna live. The band had worked with Dave Fridmann early on, who, before his career as an in-demand indie rock producer, steered his own outfit, Mercury Rev, into experimental, unhinged territory. Like Luna, their upstate New York contemporaries soon settled down. But first, "Car Wash Hair", a hidden track on their warped and weird 1991 debut ,Yerself is Steam. Wareham guested on that album. Here, he strips the frenetic original into another guitar-effects, if far more sauntering, rhythm for daydreaming. He steps up the beat near its end, recalling the predilection Luna had for a louder, more alert attitude early on. But, true to his predilections, Wareham moves the band and song away from too much volume. As a whole, if more of this album tinkered with their inspirations, it would have made A Sentimental Education more memorable. As for the A Place Of Greater Safety EP, it begins with the mid-tempo "GTX3", which continues the slightly sprightlier step of the LP's last two tunes. The title track turns to keyboards to lift up the likable lilt as it shifts from a Jersey near-neighbors Yo La Tengo type of melancholy to a more determined Feelies evocation; fittingly, an early Luna recruit was the Feelies' veteran drummer. One can't help but wonder what to expect with a track titled "Captain Pentagon". It sustains a stronger march into a solid structure, with Wall's drums and Phillips' bass supporting the twin guitars as the song moves past a steady advance into a slightly spacier shift underscored by whirling keyboards for a few seconds. Next, "Around and Around" ambles back into a waltz, tinged with a country-fresh piano and keyboards coupling. Confronted with "Ides of March of the Trolls", a listener need not fear, as it's not much different than its predecessors. Winding up on a "Spanish Odyssey", it leaves one with neither flamenco flourishes nor brassy horns, but a final dignified tune. Overall, this vocal-less EP prefers the introverted direction of the majority of the LP. As such, Luna's reunion pair drifts into music made for the morning after, or the afternoon of.